The armoury and Archers display the weapons and armour of the period from simple peasant tools adapted for warfare to the Chivalric weapons of the Knights and noble warrior classes. 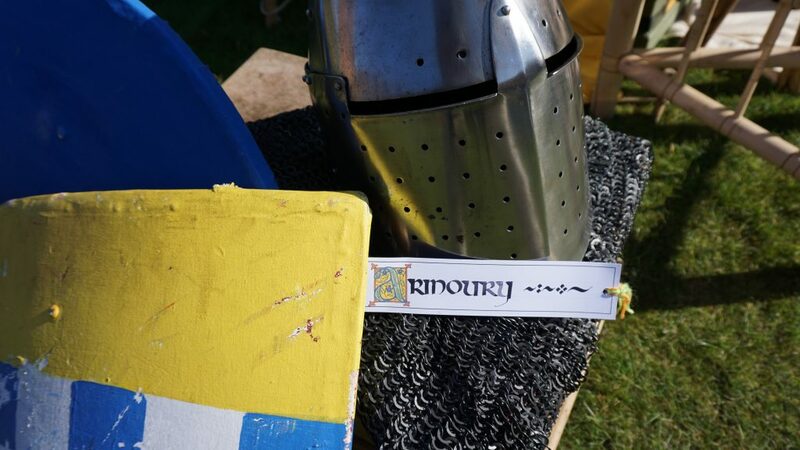 Experience the weight feel and smell of the weapons and armour under the protective and guiding eye of our enthusiastic guild members, try it out and feel the adrenaline rush of preparing for battle. We either have a rolling interactive presentation; or a set timed performance, detailing the evolution of the weaponry and armour and their different uses. This is very hands-on (under strict supervision) for the audience and gives a very tactile experience, especially for the children. Where you can see the longbow and arrows of the time and meet the archer, the most hated soldier in the army. 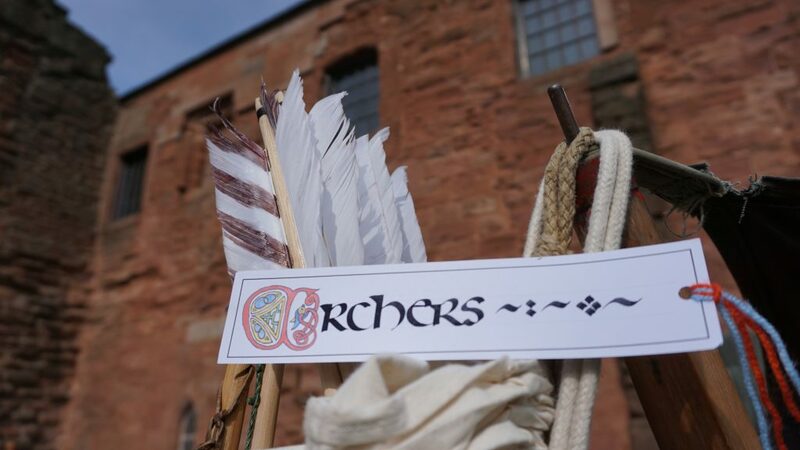 Our Archers have created an end to end performance that starts with the making of arrows, arrowheads (via the forge) and bows. They then either pass the finished product onto the armoury or to the interactive archery demonstration set up away from the campsite. Again, either a rolling demonstration or set-time performance, the archery guild is very popular with our public.